What foundation is right for your skin type? W&H Beauty Director Rosie Green and make-up artist Ruby Hammer’s guide to finding the perfect foundation. Don't go shopping without it! Always look at foundation in daylight rather than department store light. Don’t be afraid to nip outside to have a look. Try it on the cheek, where you are going to put it, not the hand or the neck. Don’t let the sales assistant blend, blend, blend the colour into oblivion either. With today’s sheer formulations you can make practically any colour fit, so you have to be bold enough to ask them to stripe it on and then have a look. Leave the product on your skin for half an hour as it will change as it oxidises. Also, remember that you will be different shades in summer and winter and although unlikely, there’s a chance you may have to mix colours to get it spot on. You will know if your skin tone is fair, medium or dark – but do you know if your undertone is warm, cool or neutral? For a perfect match, you need to make sure your foundation has the same undertones as your skin. If your skin gets pink and the veins in your wrist are blue, then you have cool undertones. If your skin is golden or olive and your veins are greenish, then you are warm-toned. If you have both golden and pink tones, and you suit both gold and silver jewellery, then you have neutral undertones. Foundation is not the be-all and end-all when it comes to coverage. It can’t and shouldn’t be used to cover everything. to disguise redness, spots, psoriasis, scars or eczema, you should use a concealer for 80% of the coverage and your base for the other 20%. Don’t ever use your foundation as a blanket cover. But what about visible broken veins? Try using a light base along with a thicker concealer. 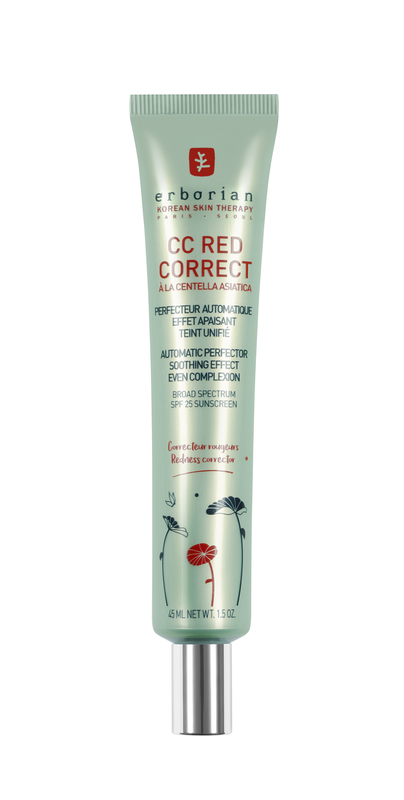 If you suffer from redness, then a green corrector can help counter it, we like Erborian CC Red Correct SPF 25. After the corrector has sunk in, you can layer your base on top. If you’re looking to disguise really problematic skin, then you may want to use a higher-coverage foundation paired with Laura Mercier’s classic long-lasting concealer, Secret Camouflage, £27.50, patted on top. It really does last and last! How do I make sure my foundation is the right texture for me? You can pick a matte, semi-matte, dewy, medium-coverage or full-coverage formula. Dewy finishes tend to work best on normal-to-dry skin. Matte foundations are best for oilier skin, while super-matte finishes are less flattering on older complexions.